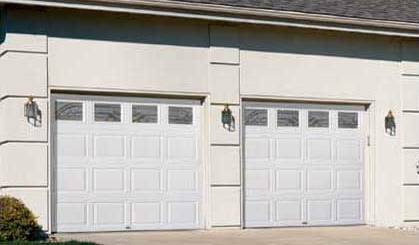 Innovations Series steel garage doors provide the ultimate in safety, quality, and energy efficiency in a steel, three-layer construction door design. The Innovations Series features Raynor's patented Finger Protection System, not found in standard steel garage door lines and mix and match panel designs. 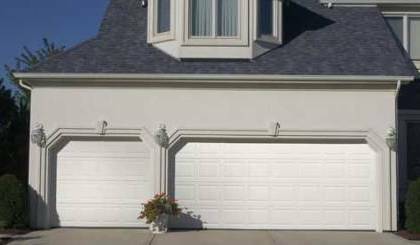 2" thick steel garage door sections; EnduraCote™ Hardware System - White Powdercoated; Polyurethane insulation - 18.0 R-value; For As Long As You Own Your Home - Rust door section warranty; For As Long As You Own Your Home hardware/springs warranty. 2" thick steel garage door sections; Galvanized steel track and white powdercoated hinges; Polyurethane insulation - 18.0 R-value; For As Long As You Own Your Home - Rust door section warranty; 5-Year hardware/springs warranty. 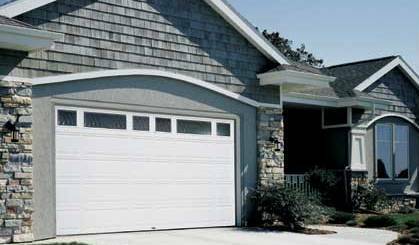 1-3/8" thick steel garage door sections; Galvanized Steel; Polyurethane insulation - 13.08 R-value; For As Long As You Own Your Home - Rust door section warranty; 3-Year hardware/springs warranty. 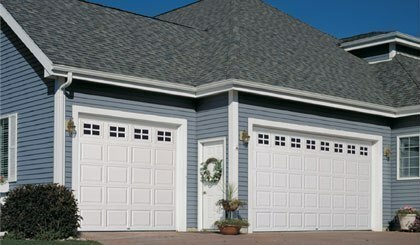 Durable two-sided sandwich construction makes this garage door the choice for energy efficiency and durability. Offered in colonial, ranch, flush or carriage house.